Derby Day is May 5th! 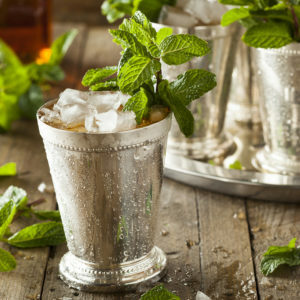 If you don’t love the standard Mint Julep, there are plenty of other drinks fit for Kentucky Derby royalty. Here are some of our favorites that you can easily make at home. Any one of these recipes is sure to please your guests at your Derby Day Party. For more recipes, check out more Bill’s Package Store blogs at Bill’s Buzz. And isn’t it nice that you have Bill’s Package Store to help you with all your spirit requirements? They offer superior quality, top-shelf brands of your favorite liquors and wine at the lowest prices in Clarksville, TN. Call (931)647-5566 or visit at 1651 Fort Campbell Blvd Clarksville, TN 37042.